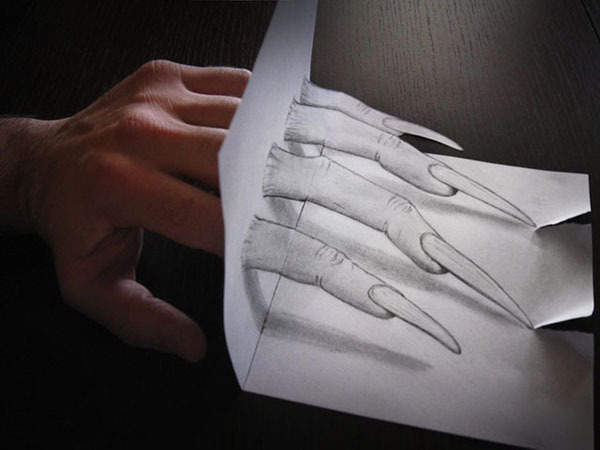 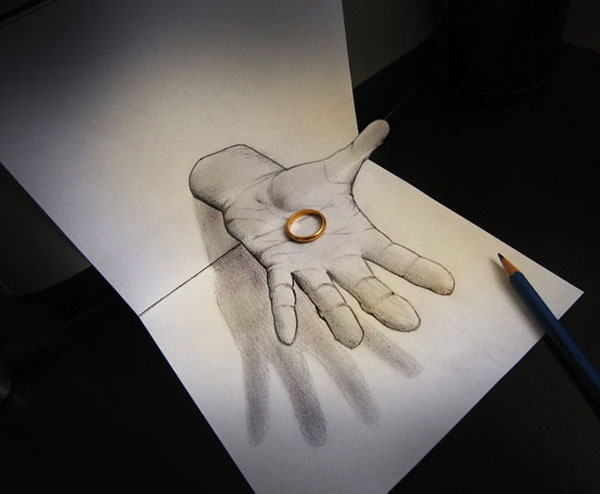 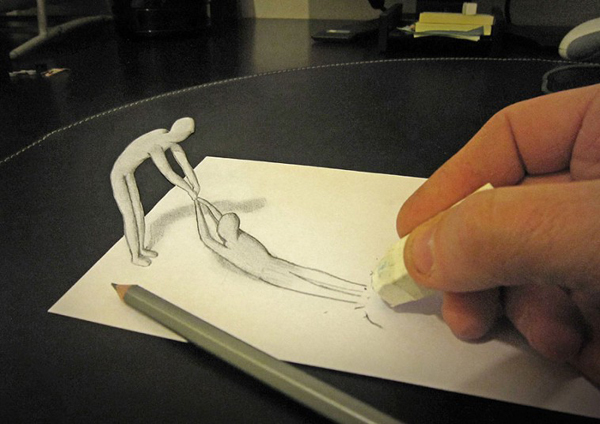 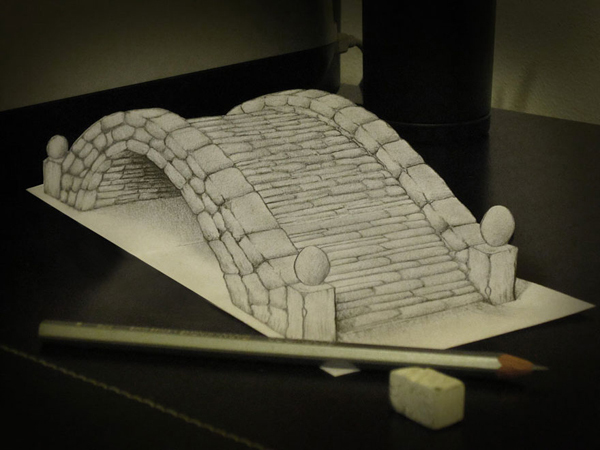 When Italian artist Alessandro Diddi puts pencil to paper, his works really come to life. 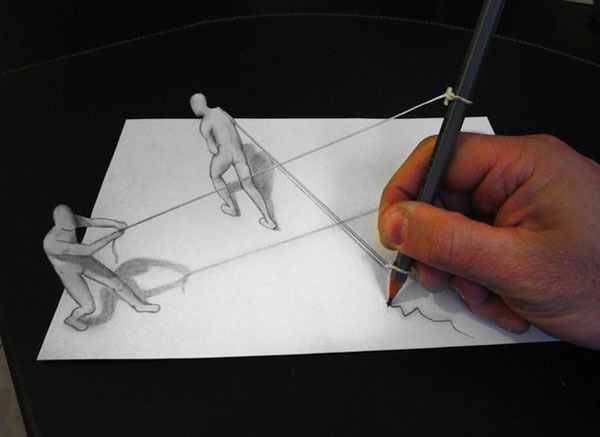 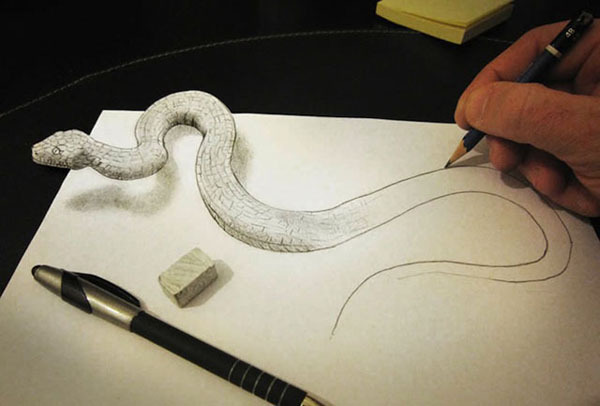 He creates clever anamorphic pencil drawings that, when viewed from a particular angle, appear to pop out of the page in three dimensions. 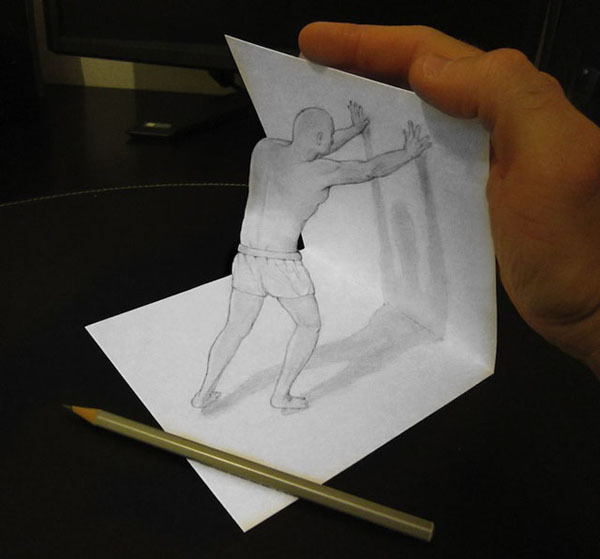 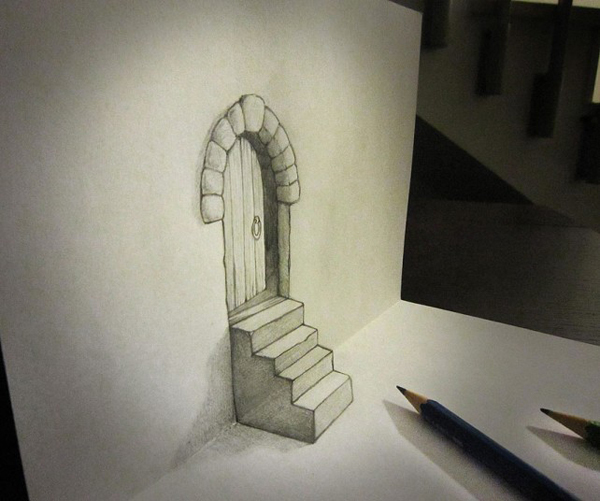 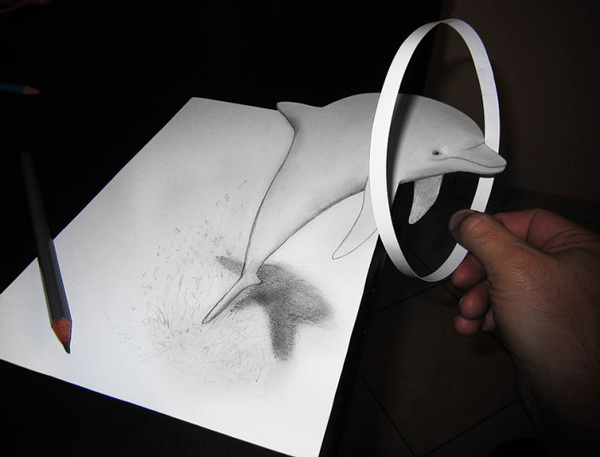 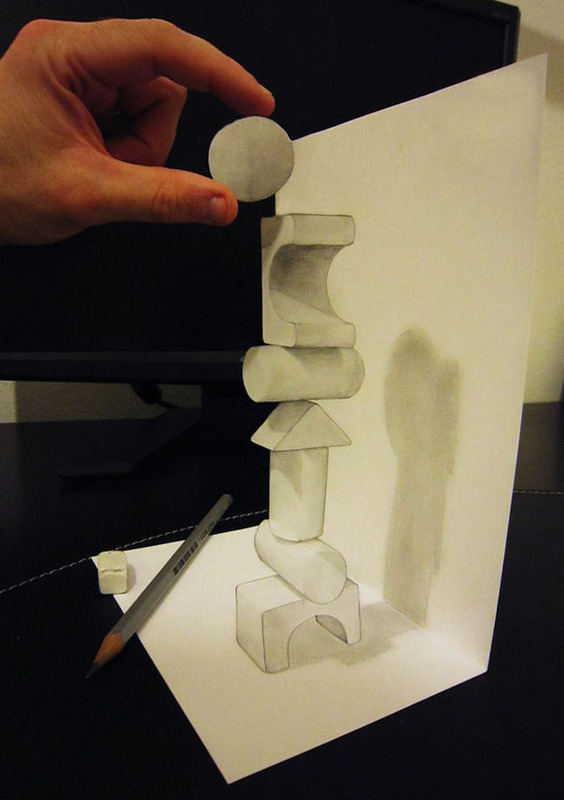 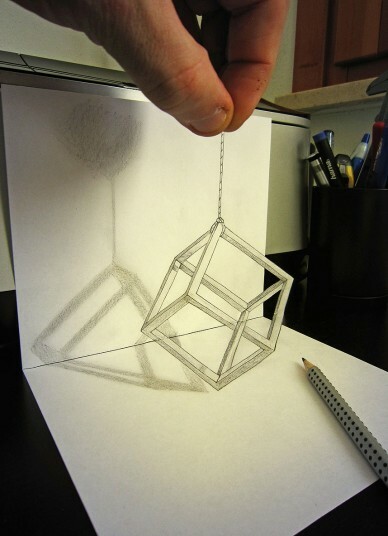 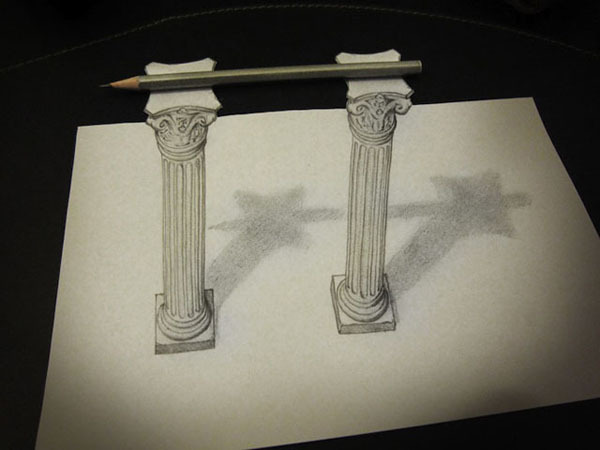 These drawings are achieved by a trick of the mind, using shading and angles to give them a life of their own and make them “leap off the page”. 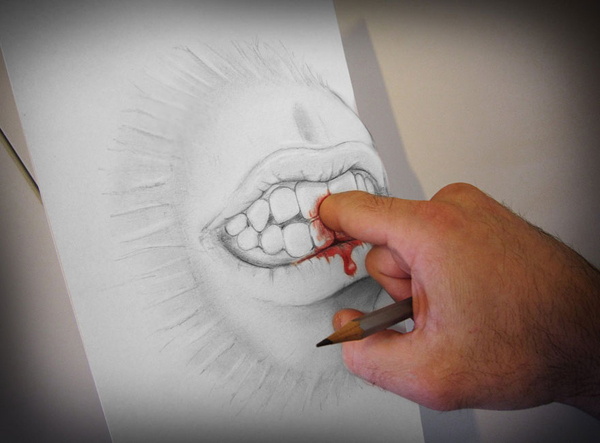 “I want my drawings to put across the message that the eye can trick the mind and make you believe that there are dimensions that are not really there,” Alessandro.